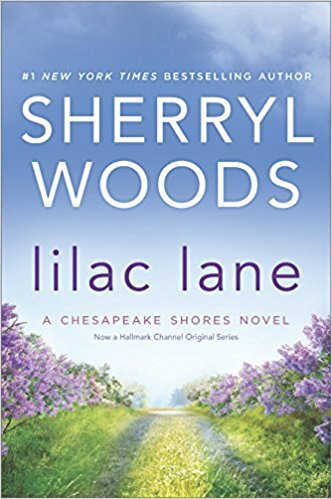 We are so excited to announce a 2-part tour for the release of best-selling author Sherryl Woods’ latest, LILAC LANE (Mira)! At the heart of Lilac Lane is Keira Malone, who raised her three children alone after her first marriage broke apart, and after years of guarding her heart, finally finds love again. But that love is short-lived when her fiancé suffers a fatal heart attack. 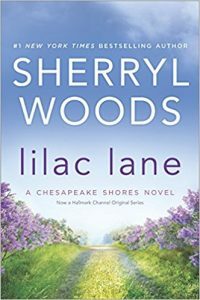 Grieving and unsure of what’s next, Keira agrees to move from Dublin to Chesapeake Shores, Maryland, to spend time with her daughter, Moira, and her new granddaughter, Kate, as well as to help her son-in-law, Luke, with his Irish pub, O’Briens. Not wanting to live underfoot, she rents a charming cottage on Lilac Lane, replete with views of the ocean and her neighbor’s thriving garden—not to mention views of the neighbor himself. The neighbor is none other than Bryan Laramie, the brusque and moody chef at the pub, with whom Keira is constantly butting heads. But things get real when Bryan’s long-lost daughter, whom he hasn’t seen since she was a baby, shows up out of the blue. As Bryan and Keira each delve into their pasts, reopening wounds, the rest of the town is gearing up for the Fall Festival Irish Stew cook-off, and making no bones about whose side they’re on. Is this a recipe for disaster…or a new chance for finding love? Here’s a chapter for you to read! You won’t want to miss this epic return to Chesapeake Shores, a place we’re betting you’ll want to stay forever. 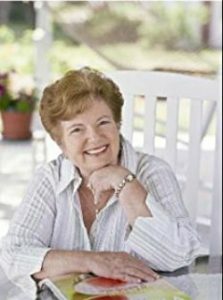 We hope you enjoyed this short passage from Sherryl’s new novel. Thanks TLC Book Tours and Mira, you have two chances to win a copy of LILAC LANE. Tell us about the best friendship you’ve ever had and we’ll announce a winner on Tuesday, publication day. We’ll giveaway another book away in November, after our review posts Friday, November 10th. Good luck. Remember: You have TWO chances to win. Have a lovely weekend. Would love to read. Thanx!! My best friend is a woman who is always there for me. She is there in good times and bad. Even though she lives in NY and I live in MN we aree such good friends it feels like we are right down the street. She my cheerleader,my sounding board, my voice of reason. I am the same for her. Thank you for the chance. My best friend is my husband of twenty-six years. Thanks for the chance. The best friendship that I’ve ever had is with my oldest sister, Linda. She’s 15 years older than me and has always been there to take care of me or help whenever I’ve needed her. Would be lost without her love and support. Would really love to win this book, I have all the Chesapeake books except 1. Enjoy watching it on tv now although it does’t follow the books! A very old friend whose kindness and care has been there for me when I needed someone through illness and recuperation. The best friendship I ever had was with my mother. She is gone now and i miss her every day. My husband runs a close second. Unconditional love! What a gorgeous cover! I love lilacs. I am lucky enough to have 2 best friends. The first is my sister. Even though we have lived on different sides of the country, or world, for most of our adult lives she is always there for me and we have stayed close. The other is a woman who started a job the same day I did 35 years ago. We spent many weeks in the “holding area” while our paperwork was being processed and our friendship began and has never stopped. It is a woman who rented me the first house that I lived in Iowa. Her and I have been friends ever since and I call her mom. She lived right behind us and she is a widow so i used to go almost every night and watch tv with her. Five years ago we built our house and she moved to town but I talk to her every day even more than that on most days. I remind her of things she might forget and she does so many errands for me,.Then every Wednesday afternoon she picks me up and we go on errands then we go to dinner then to her house and we crochet. We are making baby blankets now and also she taught me how to make dish rags and pot holders. she is the 1 friend that i have in Iowa and I love her for that. See being home bound and severely disabled people tend to stay away from you and for 30 years that i have had this pain called RSD i have lost all my friends . They don’t realize that even if they came over for 15 min or just called but nope that doesn’t happen. Pat has been the one and true friend that I have ever had. thank you for letting me brag about her as she is just so awesome. When my husband bakes or makes chili we always give her some. to try to give something back. Now to the cover of the book it is beautiful and also I would love to read and review as it sounds so good! The best friendship I’ve ever had is my friendship with my Mom. She is wonderful, prayerful, positive, and supportive. I love the story already😍. Lilacs are my favorite flower even if they only bloom for a short time, they are strong and grow for years, sounds like the perfect name for your book about Kiera. Thank you for this chance. My younger sister is my best friend. She has been my staunchest supporter, my fiercest defender and the keeper of keeper of secrets. My friend Marsha is just about the best friendship I’ve ever had. She keeps me grounded. We’re boys boy-moms, so we have a lot in common, similar life experiences, and we just get each other. We can cry on each other’s shoulders, lift each other up, get together and have a raucous good time. We’re not sisters, but we are the greatest of friends. My best friend is my husband. We’ve been married for 34 years. My best friendship is with a fellow book lover and avid reader like myself, Susan. We enjoy discovering new and old books to read and share. This way we both get to experience the best authors have to offer. My best friend ever is my husband. I have never been the type to do things with other women….my off time is my friend time and that would be my hubby. My sister-in-law Sandy. She’s more like another sister (I have 3 sisters and one deceased). We all love to get together and go antiquing (or just shopping!) or do nothing, just be together. My best friend is my sister. She’s always there for me. My best friend passed away 2 weeks ago. I miss her so much. Rest in peace, Anna Sue.